One of the snazziest limo arrivals on the first episode of Andi Dorfman's season of The Bachelorette Monday night was from a man named Patrick, a former soccer player. Patrick pulled out a soccer ball, told Andi he was nothing like the last soccer player she dated, and kicked the ball out of sight assuring her that Juan Pablo would never come up again. For Andi, a lack of conversations about Juan Pablo is a real possibility while she's in the bachelor mansion, but for the rest of us, he's still around and making sure to get his opinions out there loud and not-so-clear as usual. Juan Pablo Galavis wrote a letter of advice to Andi, and like every letter of advice that comes from a fame hungry person, he posted it publicly on his Facebook page instead of mailing it to her c/o Chris Harrison. 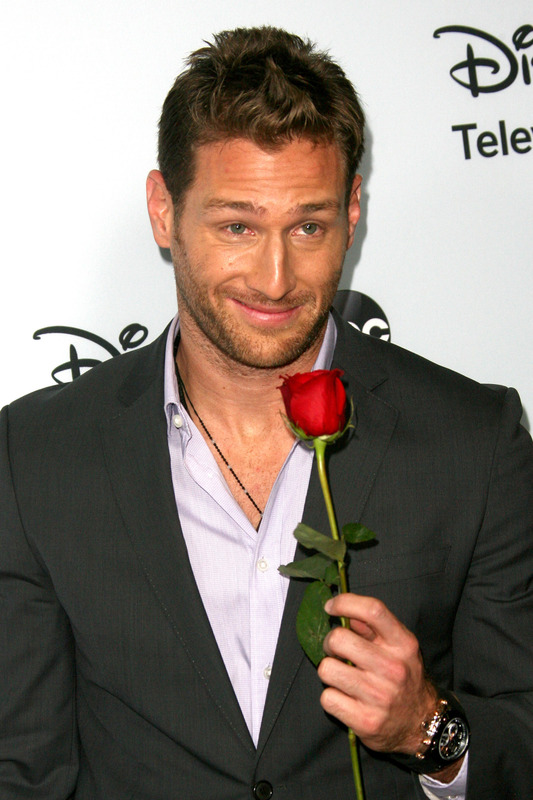 It's no surprise that Juan Pablo would do this. Juan Pablo loves being upset about things, namely his portrayal in the media and on the show, and talking about them online. For most people, it would make sense to ignore ABC, Bachelor nation, and haters on Twitter, but Juan Pablo prefers rants filled with plenty of unnecessary capitalization. His letter to Andi is so Juan Pablo. Juan Pablo starts off wishing Andi the best which is totally cool. I can't hate on that even though I'm pretty sure she doesn't need his well wishes. But things immediately take a turn. I'm GLAD to hear that now you have gone THROUGH the process, some of the things that we TALKED about while we were on The Bachelor which to you seemed NEGATIVE, became your REALITY during 2 months of filming. He's glad to hear that it ended up being a hard process for her too? What else could this mean? After this he decided to launch into talking about Nikki. Thanks for being one of Nikki's best friends, no one in the world wants BETTER for you than Mi Catira and I know you do for her also. You were lucky Nikki was your best friend and I CHOSE her jajaja, cause if not who was gonna HELP give you TIPS for your contract before the show, and explain you VERY well what you were getting into jejeje. Okay, he is TOTALLY doing that thing where you write something that sounds offensive or harsh (say, in a text) and then add "hahaha" or a smiley emoticon to try to bring it down a notch. What's Andi supposed to say to this? "Oh, Juan Pablo! Thank you sooooo much for helping me figure out my contract even though I'm a lawyer and English is your second language." Next he added in some stuff about enjoying when she Facetimed with him and Nikki and said that she needs to stay true to herself. Then he mentioned how he won't be watching the show, but not because of Andi, and made a jab at ABC. I have NEVER seen The Bachelor or Bachelorette before I was on it, and watched just because I wanted to know how my AMAZING experience would be portrayed on a TV show. The result, you know IT... jejeje. The fact that he thinks that Andi might end up being unhappy with her portrayal on the show the way he was is beyond me. Most of all, because he wasn't portrayed incorrectly which we know because he said horrible things outside of the show too. And you didn't think he would end without an "Ees okay" joke, did you? Best wishes and like I said, HOPE you STAY TRUE TO YOURSELF, but if not, It's OK... jejejeje.